I'm working in AutoCAD with a layer from a shapefile. The problem occurs when Autocad opens the file : the coordinates are the same than in QGIS, but when I try to draw a line 1 meter is 0,00001 in autocad. You are working in a system that uses angular units (i.e EPSG 4326 WGS84 Lat long system). One meter must be around 0,00001°, that's why you have so small values in Autocad. You need to put your shapefile data "flat" in a meter unit projection within QGIS (for example to your local projection or UTM zone) by saving as and choosing the right projection. Depending on your location, we can help you choose one. Then you just need to export from QGIS in DXF. Autocad use cartesian coordinates. Export in UTM or your local system cartesian. AutoCAD use cartesian coordinates? No my friend, sorry - only AutoCAD Civil 3D use this. So, what you can to do is convert the file to a UTM or local system by using AutoCAD Civil 3D. Not the answer you're looking for? Browse other questions tagged qgis convert scale autocad dxf or ask your own question. What do I need to change to get scale bar units other than degrees? Getting wrong scale on georeferenced TIFF in QGIS? 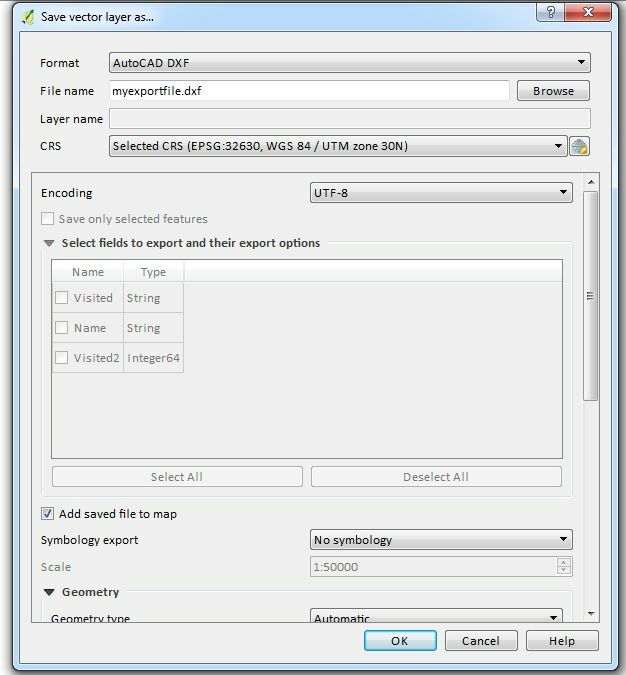 Preparing AutoCAD file for QGIS?